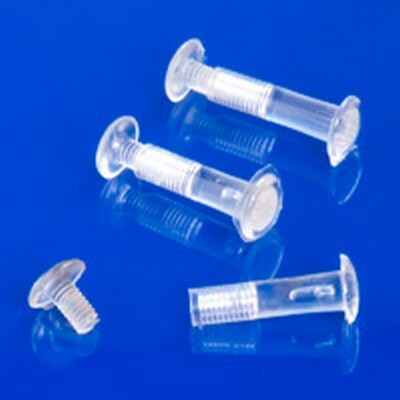 8-32" x 7/8" Clear Screw Fastener | U.S. Plastic Corp. These polycarbonate fasteners are tough and are of cellulose acetate butyrate. They are female threaded for binding plastic, leather, fabric, paper, etc. The Post OD is 7/32. Thread size is 8-32.